This heavy-duty mat from DKN is suitable for a wide variety of exercises, providing excellent support and protection thanks to its 3cm (1.2") thick polyfoam construction. With a heavy-duty vinyl covering, the gym mat is easy to clean and its ingenious tri-fold design with dual handles allows for space-efficient storage and convenient transportation of this piece of sports equipment. 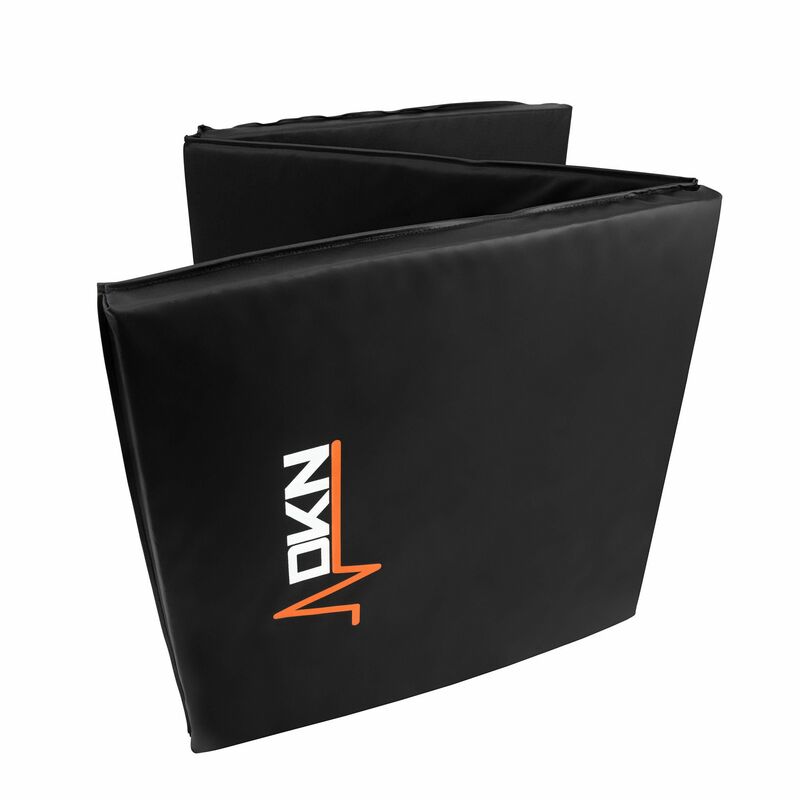 for submitting product information about DKN Tri-Fold Exercise Mat with Handles We aim to answer all questions within 2-3 days. 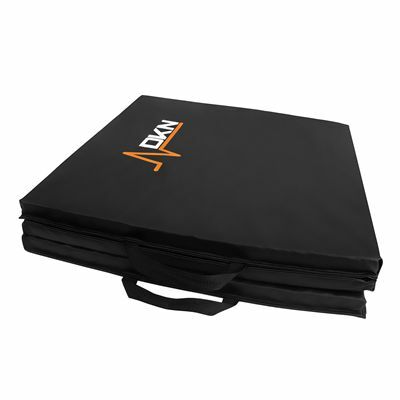 for submitting product information about DKN Tri-Fold Exercise Mat with Handles. We aim to answer all questions within 2-3 days. If you provided your name and email address, we will email you as soon as the answer is published. Excellent product. Great padding an ideal for small spaces. 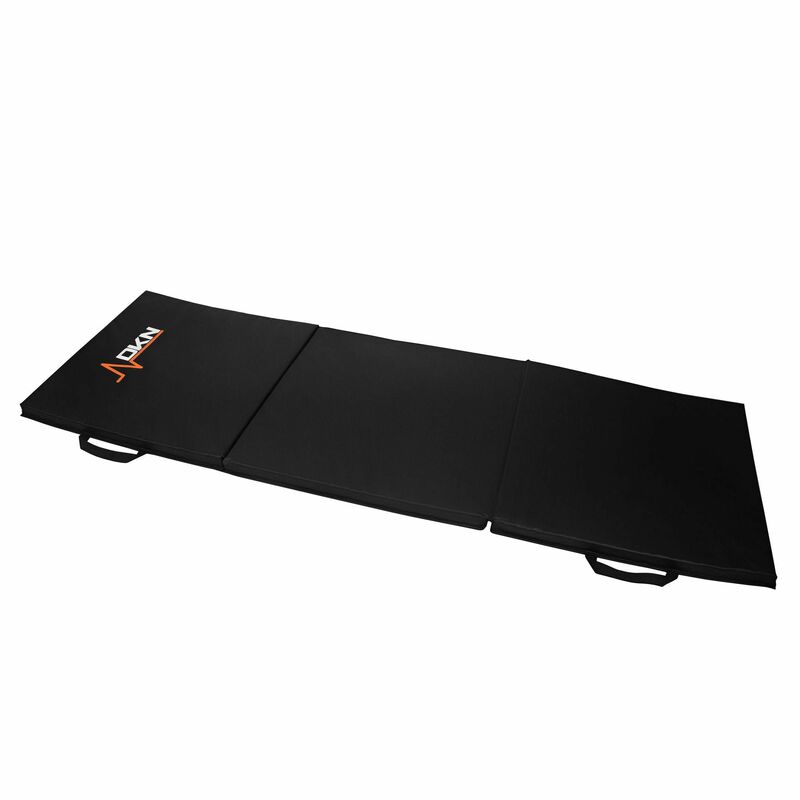 Very thick exercise mat very comfortable to lay on, folds up to transport with carring handles. well made, and a good price. This is a very high quality, professional mat. It is extremely thick and therefore provides maximum comfort when using it. It is also lengthy and so will be suitable for even tall users. The carrying handles make it easy to transport. The one downside to the product is that it is quite large and bulky and so is difficult to store in the home. for submitting product review about DKN Tri-Fold Exercise Mat with Handles.